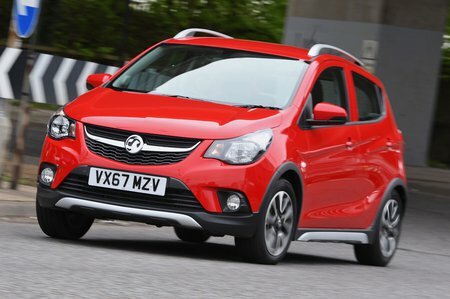 Vauxhall Viva 1.0  Rocks 5dr 2019 Review | What Car? The range-topping Rocks model gets a raised ride height (by 18mm) but no extra equipment and a steep price tag. Unless you're desperate for the mild off-road styling, it’s difficult to recommend over the lesser trims.